In 1979, Steve Hankirk’s first flying job landed him in the remote settlement of Pikangikum, approximately 100 kilometres northwest of Red Lake, Ont. In this isolated location, inaccessible by road or rail, the young Hankirk earned his stripes flying charters in a Cessna 185 on floats, wheels and skis. The experience emphasized how vital air service is to northern communities, a realization that was reinforced by a series of progressive flying jobs in northern Ontario and Alberta. In 1985, Hankirk joined the world of corporate aviation, piloting a Learjet out of Edmonton. Three years later, he became a first officer with Time Air in Calgary on a brand new de Havilland Canada Dash 8. But big changes were brewing in the Canadian airline landscape. Time Air morphed into Canadian Regional Airlines, an amalgamation of several carriers across Canada. Around the same time, Canadian North was structured into a separate, independent airline owned by Air NorTerra. Opportunity knocked for Hankirk, who was hired on as operations manager. In those days, the small carrier was flying scheduled passenger and cargo service to destinations in northern Canada, from hubs in Edmonton and Ottawa. 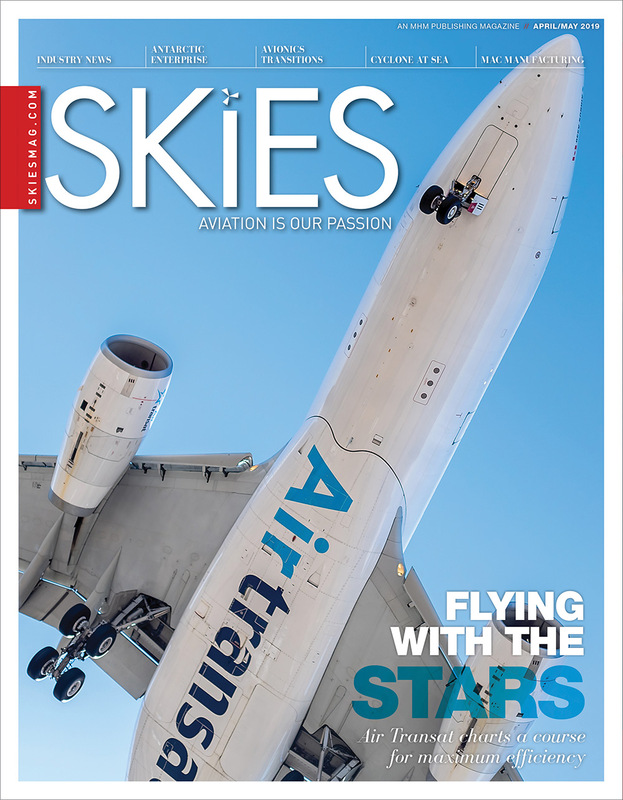 “As the airline matured in 2005, we diversified into charter work, starting with charters to diamond mines with [Boeing] 737s and then the oil sands of northern Alberta,” recounted Hankirk. He progressed through a number of positions at the airline, finally becoming president in 2012. 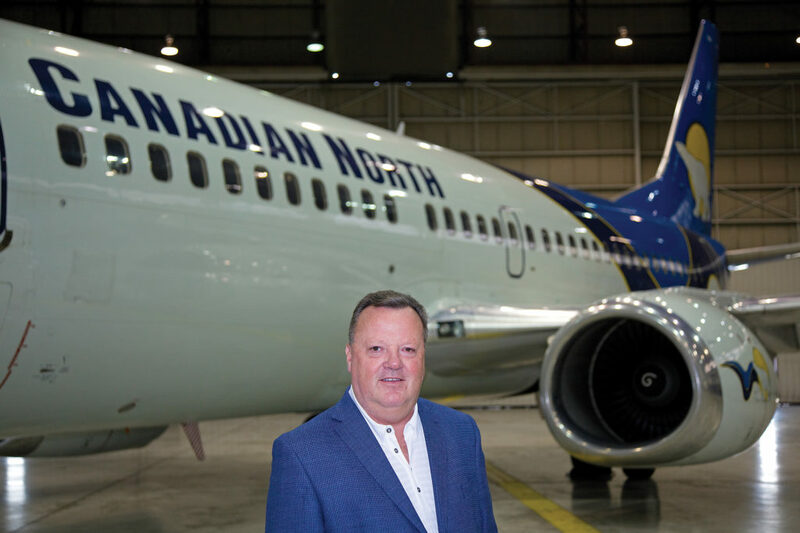 From an initial fleet of three 737s, Canadian North now operates 12 of that type, along with three Dash 8 combi aircraft, and boasts about 700 full-time employees. In 2017, the Inuvialuit Development Corporation, representing the Inuvialuit of the Western Arctic, assumed full ownership of the airline. Today, it incorporates three business units: scheduled passenger service, cargo and charters. Hankirk said the scheduled airline currently services 16 destinations in the Northwest Territories and Nunavut, still from bases in Edmonton and Ottawa. Canadian North also does charter work for most of the big oil sands companies, and leisure flying on behalf of Air Transat and Celebrity Cruises. Players in the Canadian Football League also fly on a custom-painted Boeing 737-300. Last fall, Canadian North unveiled plans to open its own manufacturing, maintenance, repair and overhaul (MMRO) facility in its Edmonton hangar. Hankirk said 45 new employees started on Feb. 12, 2018, with the first aircraft scheduled to enter the new shop on April 2. 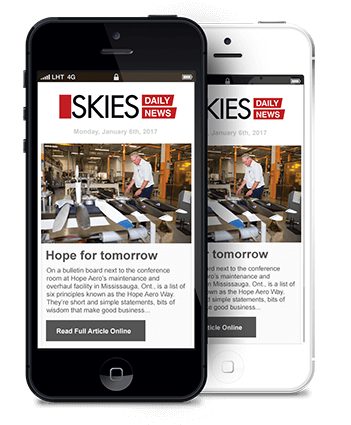 Hankirk expects the new facility will help the airline lower costs while managing its maintenance schedules. 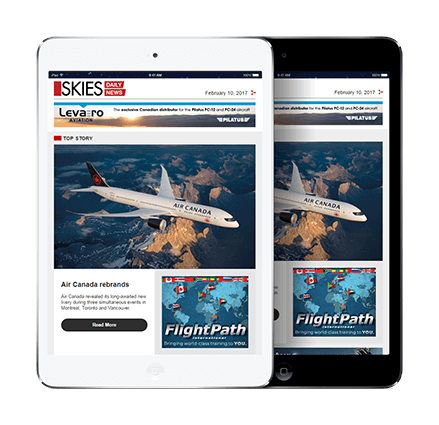 Along the same lines, Canadian North purchased its own CAE 737 Level D flight simulator in 2015, enabling in-house pilot training in Edmonton and external leasing revenue. Another exciting development is the launch of Fetchable, a new consumer delivery service powered jointly by Canadian North and BBE Expediting Ltd.
As Fetchable matures, it will also showcase goods on its website. 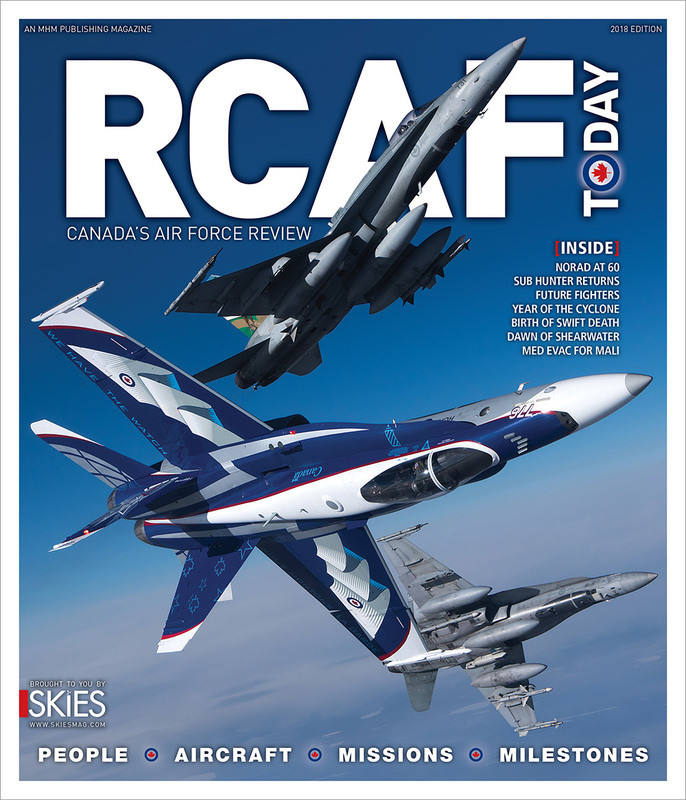 While all of this is happening at Canadian North, Hankirk is also busy in his role as chair of the Air Transport Association of Canada (ATAC). He has identified some big priorities for his three-year term. First, he wants to work with Transport Canada and ATAC members to implement a fair fatigue management system. He added that if the regulations (as written) went into effect right now, most operators would need to hire 15 to 20 per cent more pilots. Hankirk believes the solution is a “whole of industry” approach that involves the regulator and all types of operators, from flying schools to smaller carriers to large airlines. To foster industry co-operation, he is aiming to establish a partnership between ATAC and the National Airlines Council. Hankirk added that if the fatigue regulations were implemented as they currently stand, Canadian North would immediately need 15 per cent more pilots. Service schedules would have to be adjusted for shorter duty days. But northern operators aren’t the only ones who would feel the pinch under the regulations as they now stand.